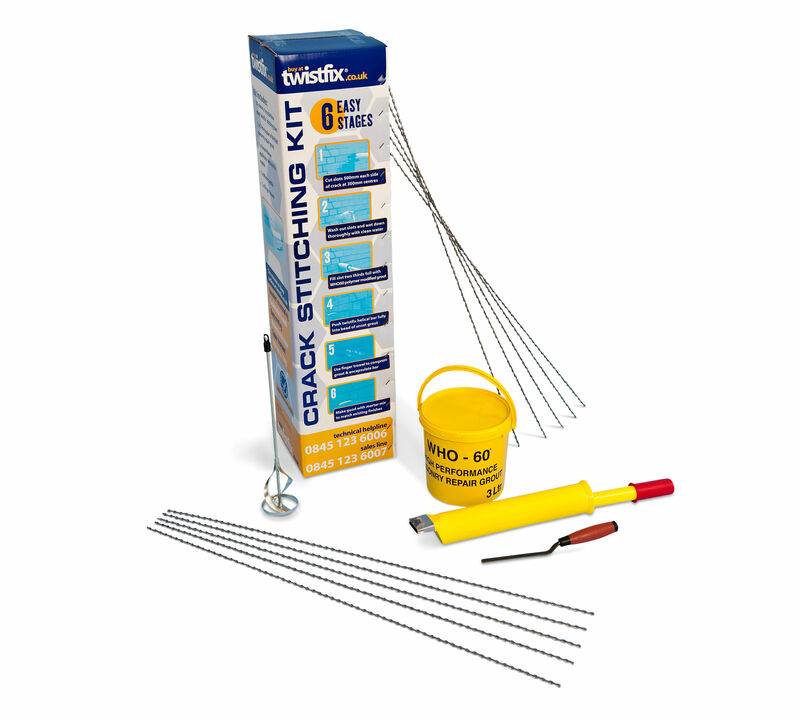 Masonry crack repair kit with everything needed for professional brick stitching and rein­for­cement. Suitable for repairing wall cracks in brick, block & stone walls. 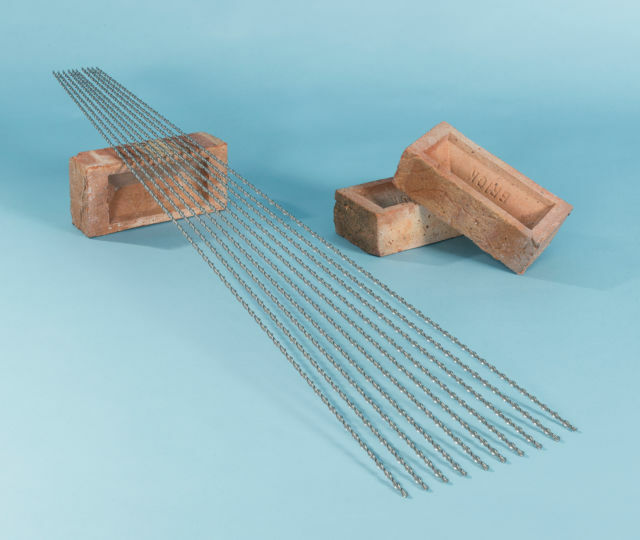 Helical brick stitching bars are bonded into slots made in a mortar bed joint to stitch across cracks in walls. Tensile forces are redistributed along the full length of the structural rein­for­cement, to effect a masonry crack repair that stabilises and strengthens the cracked wall. 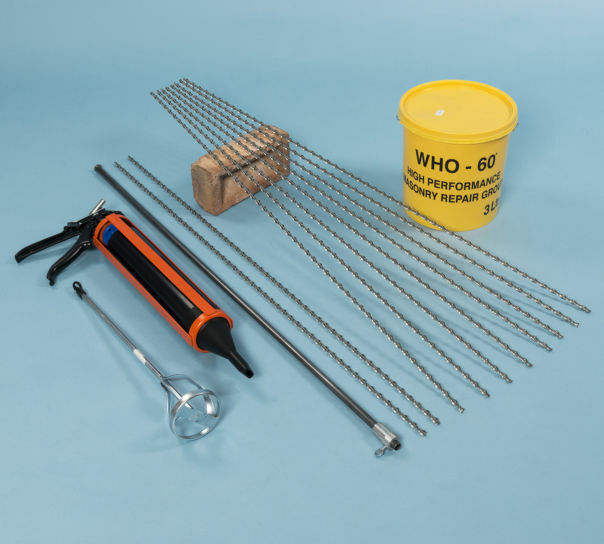 This wall crack repair kit offers a cost effective, retrofit solution for the permanent repairs of cracks in masonry. 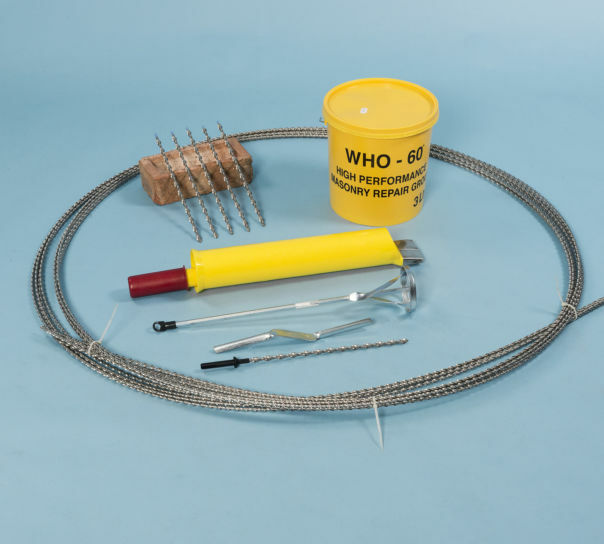 Select the standard kit for 6mm crack stitching bars or for the higher strength a kit with either 7mm or 8mm helical reinforcement bars. the wall stitches have made such a difference, no more cracks in walls! clicked onto twistfix Monday, parts delivered Wednesday, job done Thursday. never been let down by twistfix in 6 years. Actually its knowing where to start!